Hello again!!! 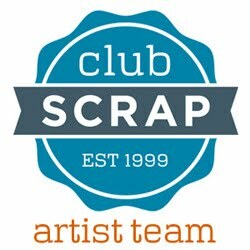 It's Club Scrap Blog Hop time! Woo hoo! If you've been following along the Hop you should have just come from Hetty's blog. The Club Scrap kit for December is called Shades of Winter and is so beautiful! One of my favorite kits for sure! I decided to make 3 different kinds of Luminary Cards. 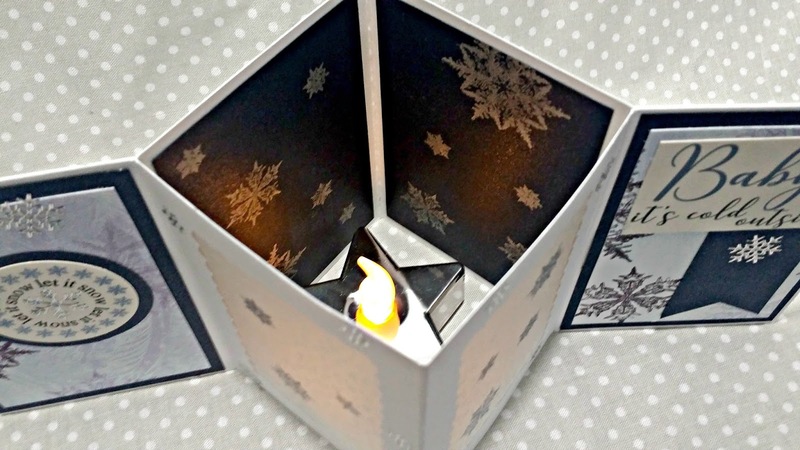 You just put a little battery powered tea light behind the vellum "window" to light up the card! There's a great video here on how to make this card. I glued the sides together and added the brads that are available with this kit as embellishment. I colored the raised print paper with a makeup sponge and blue ink. The raised part resists the color and makes a gorgeous design! I think this style is my favorite! Check out the tutorial for how to make it. I just love those snowflake dazzle stickers! 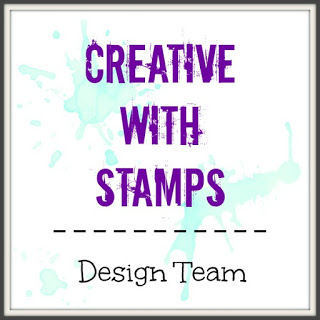 I stamped on the inside too! I used Club Scrap metallic silver ink on the blue shimmery paper that came with the kit. I've found the little tea lights in many places-Dollar Stores even have them! I've found star shaped, red and green glittered ones and plain white. 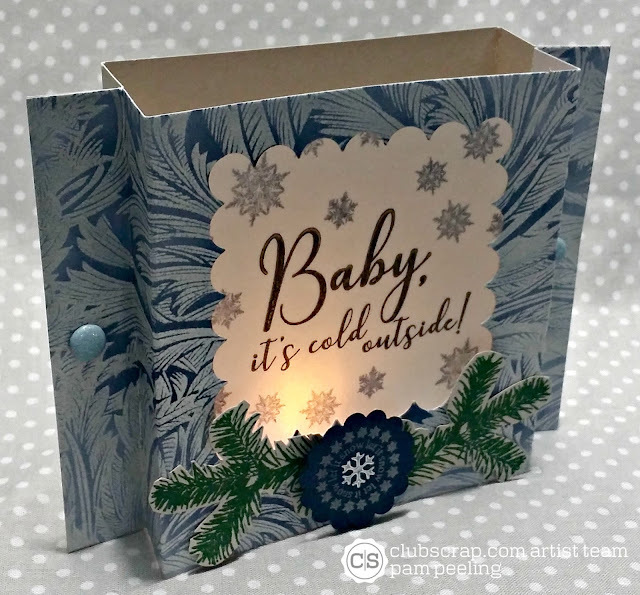 There's a great tutorial here on how to make this card. I folded the printed paper so that the design was on the inside to give it depth and more interest. I stamped the sentiment on a piece of vellum- I wanted to have the paper design show - I didn't want to cover it up. I used embossing powder on the sentiment. 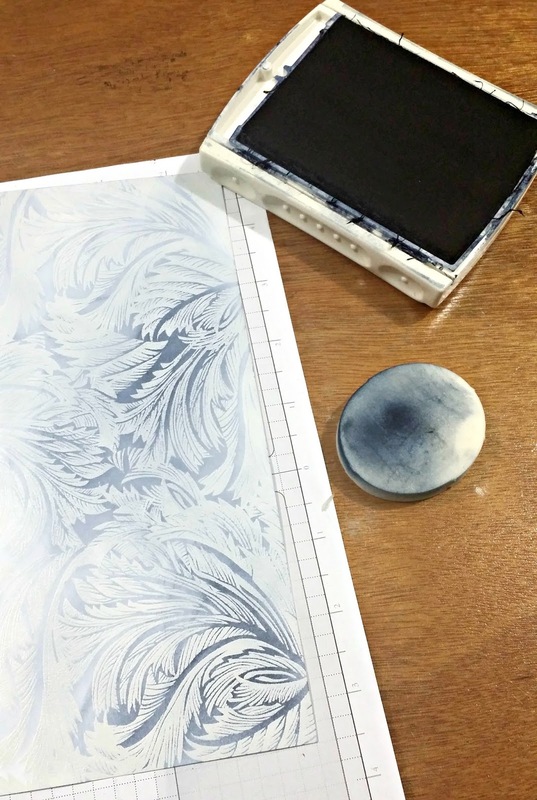 I stamped the snowflake images onto the vellum for the "window" with blue ink. These cards are so easy to make and have great presentation! They fit in a standard envelope too! 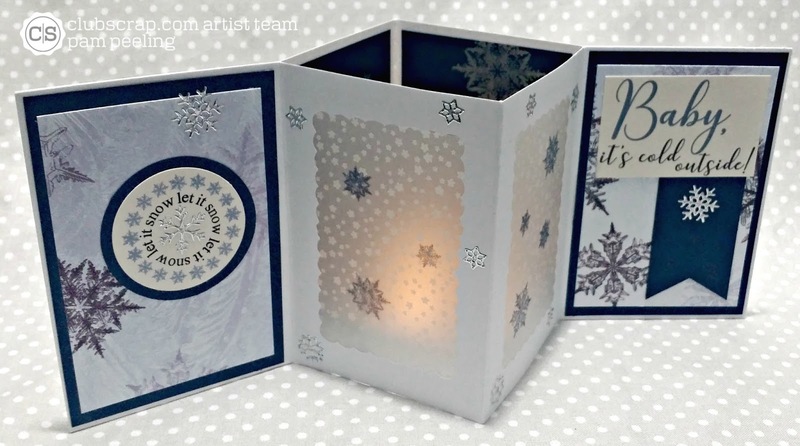 Now on to Tricia's blog to see what she's done with this fabulous kit!!! Love them all, thanks for sharing your art. What a super cool idea for this kit. 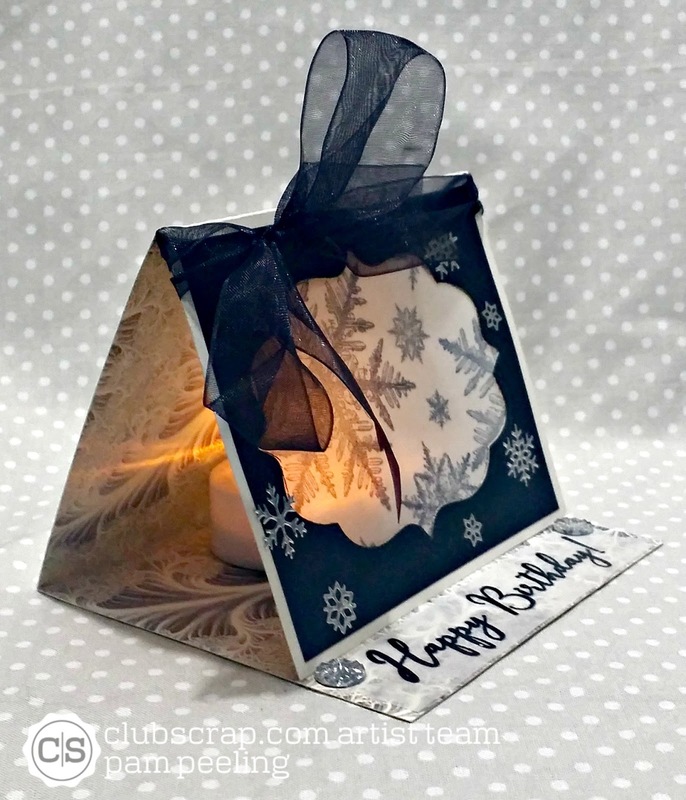 I love luminary cards and bags and yours are just lovely. Happy new year. What fun! Super cute gift ideas - easy to mail too! I love love love all of your little luminary cards Pam!! Such beautiful work!! Heavens...these are terrific! I love that you were able to create three completely unique luminary cards with the collection. The theme and designs are perfect! Wow! These are gorgeous! I really need to try some luminaries. Oh the luminaries are all so perfect, great with this collection, so cool, each one of them! What a cool project - so perfect for the holidays!! Great ideas! Beautiful projects! I truly appreciate the tutorial. Thank you so much for sharing these ideas. What a great sampling of luminary cards! These would make great gifts. TFS! awwww love all your cards, they are BEAUTIFUL!!! And they look lovely lit up! How fun!! All three of these are simply gorgeous. I'm going to make some of these soon! Those lights are a brilliant idea, Pam. What a great decoration in the winter time. May 2017 be a very creative year for you!